Stan's Roofing & Siding is a licensed and BBB accredited contractor that excels in roof replacement. If your roof is old or weathered then it may be time for a new roof. Installing a new roof is a great way to enhance the look of your home while also increasing the value and durability of your home for years to common. Another common reason for a new roof is wear and tear on the old one, especially after years of exposure to the severe weather we experience in the Southwest Suburbs of Chicago area. All roofs eventually need replacement, and if you see missing or broken sections of shingles or tiles, leaks or light coming through, damaged flashing, or other problems, roof repairs may not be enough and a full replacement might be more cost-effective option. Get a FREE estimate today on a roof replacement by clicking the free estimate button. Installing a new roof is a great way to improve your home's function and appearance. 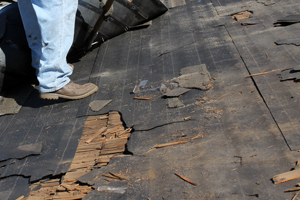 Although there are several reasons to get a new roof, the most obvious one is wear and tear on the old one. All roofs will eventually need replacement, and if you see missing or broken sections of shingles or tiles, leaks or light coming through, damaged flashing, or other problems, roof repairs may not be enough and a full replacement might be more cost-effective. It is also best to have your roof inspected if it's past warranty or looks worn out, and the experts at Stan's Roofing & Siding can help you determine the best course of action. At Stan's Roofing & Siding, we understand that it can be difficult to know what steps to take when considering a roof replacement. We will work with you every step of the way to ensure that you are getting exactly what you want and need at a cost that fits within your budget. 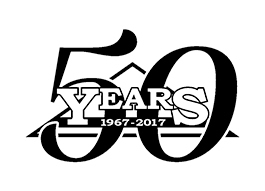 It doesn't matter what your motivation or needs are -- we always provide high-quality roofing solutions that will last for years to come. Call us today to get started with a free estimate! We proudly serve in Oak Lawn, Bolingbrook, Naperville, Orland Park, Plainfield, New Lenox, Homer Glen, Mokena, Tinley Park, Frankfort and throughout the surrounding areas.